Welcome to week #6 of the Share It Sunday linky! A huge thank you to everyone who has been linking up in previous weeks. Sorry there wasn't a linky last week! I really enjoyed reading all of your posts (I'm still in the middle of commenting on everyones posts so don't worry if you haven't yet seen a comment from myself, I haven't forgotten. I tend to read them from my phone which means I can't always comment straight away). 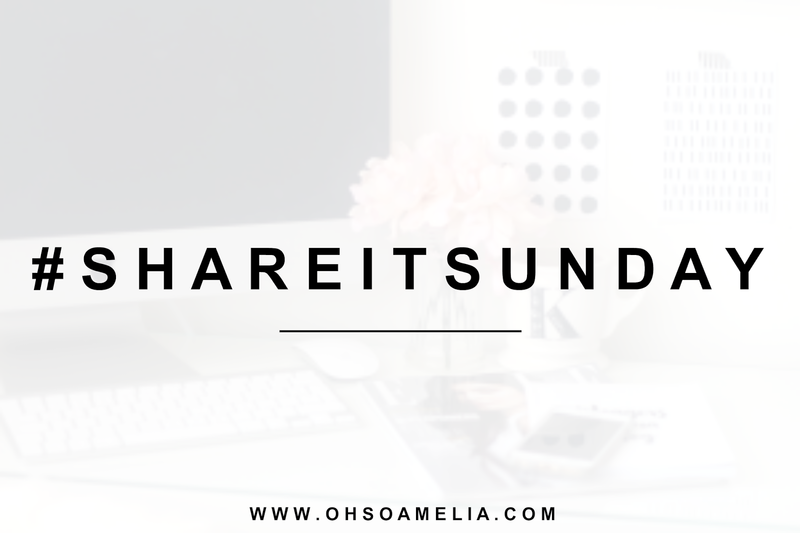 #ShareItSunday is a place that bloggers can come to link up their best posts, old or new each week. I love reading, commenting and sharing your posts!